Whether you call it the District, DC or simply Washington doesn't much matter. Soon we will be able to call it a Sprint 4G LTE city. The next market in our Network Vision/LTE deployment schedule update series is...Washington, D.C.. This market has not been announced by Sprint, but appears to be on the way for a late August launch. The Sprint Washington DC market covers all of the District Columbia, and the Maryland and Virginia DC suburbs. Sprint's Network Vision OEM Alcatel/Lucent has been actively deploying in the Washington DC market since March and is making good progress. As of this week, there are approximately 50 Network Vision sites that have completed upgrades. These sites are located throughout the market. Mostly in D.C. and the Maryland side, but sites are now starting to come live on the Virginia side. Network Vision Sites in the Washington DC market. Approximately fifty Network Vision sites are complete in the market. It was Sprint's original plan to launch markets when they reached 50% of sites converted to Network Vision. However, it has now been determined that Sprint will move up launches sooner than 50% completion in several markets. This is likely to maintain a Mid 2012 launch in markets that have already been announced. However, in an unannounced market like DC, we don't know if they will resume pushing back market launches to 50%, or if they will now settle on a 30% - 40% completion to be the new normal for market launches. If Sprint waits for 50% completion to launch the DC market, it would make the launch month to be September (should AlcaLu stay on schedule). That being said, if Sprint should launch around the third week of August (as we suspect), then the market would be less than 50% complete. This doesn't sound like enough, but it would provide pretty good coverage. Even Verizon doesn't launch on all sites in a market initially. Usually less than 50%, then filling in with more and more sites every few months. Sprint is not reporting any of these live Network Vision sites in the DC market as currently broadcasting 4G LTE, only 3G EVDO. According to the NV schedule, these should have started coming online in May with LTE. However, none have shown up as LTE active to date. This most likely means that either the backhaul is not quite ready to service 4G LTE, or the 4G cores that these sites are tied to are not quite ready for LTE traffic. A huge backlog of LTE sites will probably come online in this market suddenly when the network is ready. We currently do not have a date that Sprint will formally "launch" the Washington DC market. We believe they are targeting a launch month of August based on reports internally within Sprint. However, after reviewing the schedule, it may actually pan out to be late August or the first of September. Sprint will likely announce a launch date for this market, and a few others like Austin, Boston, Chicago and Los Angeles around the time of the first launch. Sprint's schedule for this market currently has 50 Network Vision sites complete. Alcatel/Lucent is continuing to progress and is planning to increase the production rate up to 100 sites per month from here forward. This seems like an impossible production rate to us. S4GRU has examined the schedule in great detail in this market and sees that most of the sites will be complete by January 2013. However, there are several sites that will linger past the completion. In our estimation of the schedule, AlcaLu is currently right on time, but may have issues meeting this rate identified in Sprint's schedule. Photo of Washington, D.C. provided courtesy of Wikimedia Commons. I was in the dc area two weeks ago but unfortunately I wasn't able to get a signal but this is great news. DC is my second most traveled to place so this is just wonderful. Still going to hold off I think on getting a LTE phone, heck I have 3 year old Palm Pre. Sprints 3G is a litter better within DC at times; however, in some places you cannot even stream Pandora, let alone check out a YouTube clip. Still way behind the competition in bandwidth (coverage is fine). Sprint is playing catch up. Network Vision will bring improved 3G and a ubiquitous 4G LTE network. Any tower that's upgraded should be turned on and let people use it. Remember that they still haven't turned on many towers even in the cities that are announced, which is probably because they need to test the network to make sure that all the towers function together well before they allow customers to start using them and find problems. I am sure that the later cities will probably allow towers to be used as soon as they are complete, but they are trying to make sure they don't screw up and ruin their image (it can't handle much bad press). Sprint changed their minds mid-stream. Just as the first LTE sites were being completed. Sprint intended to, from the beginning, to allow LTE sites to be discoverable to customers who had LTE devices and were within range of a completed LTE site. However, around the end of April, they changed their mind and requested their OEM's to come up with a way to block Sprint LTE devices from connecting to the LTE network. They discussed several options and selected the best solution to implement. It was a last minute and hasty decision to block LTE. And it has nothing to do with the network and being ready. It's about a device issue that Sprint doesn't want discovered. It would be figured out in two days if they allow their LTE network to go live. So the NV 3G is live? Yes, at the 55 sites shown in yellow at the map above. Woo Hoo! Looks like I'm slated to be in the "live" area at launch time (As long as A/L) stays on scheduled. Kinda surprised since I'm way down out in the far southern 'burbs. But it looks like they're really concentrating on the sites along the I-95 corridor which is right in my backyard. Thanks for this info! Maybe I missed it(?) but i'm wondering the source and reliability of this? I would love to be able to believe the LTE is coming soon in NOVA and go with Sprint. But I desperately need a new phone now and I'm just not sure I can trust Sprint here to deliver on timelines. From reading this, it sounds like we are talking about a city that has never been officially announced but we expect it to go live soon? I understand their need to get the initial infrastructure working before you let customers on, but the "Oh its coming" promise without actual launches makes me question go live dates. "Show me the money?". I want to believe it...but again from reading Sprint's track record on delivery these last few years doesn't appear to be stellar. But, then again im more of a lurker then a reasearcher on this. Thoughts? The info came directly from internal sources at Sprint, Clearwire, Ericsson, Samsung and subcontractors. S4GRU has been around for a year and all of our past reporting has panned out. 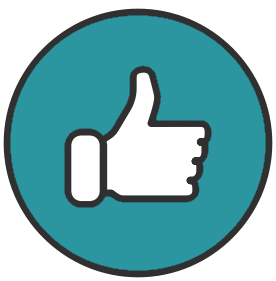 We have over 4,000 members and followers. Many of them go out in the field and verify a lot of our info. If you pour through our forums, you would see a lot of that history. And then you can decide for yourself. Of course, there is no guarantee that Sprint will do anything in the future. We just report. In this article we have reported a status of what has already occurred for this market, and what Sprint had scheduled for this market. In this article series, we are not always showing just positive info. When we come across negative info, we publish that too. We are not affiliated with Sprint. We call them like we see them. We have no interest in selling you a story. In fact, we don't sell anything. 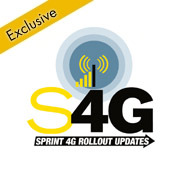 S4GRU is a group of wireless nerds that are interested in the Sprint network. We pass on, share and guide discussions about Sprint's network. I realize I wasn't very clear. I was just curious about the reliability of your source data in LTE build outs for NOVA.The Sprint plan I understand is a guesstimate based on the data at hand. I suppose my comments about Sprint timeline reliability was mostly rant on my part. The thing that scares me most, if they've never officially announced D.C., this all may just be something unrelated like network testing for QA. It's easy for DC to fall to the wayside if they haven't announced anything yet. I think you addressed my main question at a high level, you feel very comfortable with your sources. Thank you for the well written response. I've been quite impressed with your site. Keep it up. Hi Robert,I realize I wasn't very clear. I was just curious about the reliability of your source data in LTE build outs for NOVA.The Sprint plan I understand is a guesstimate based on the data at hand. I suppose my comments about Sprint timeline reliability was mostly rant on my part.The thing that scares me most, if they've never officially announced D.C., this all may just be something unrelated like network testing for QA. It's easy for DC to fall to the wayside if they haven't announced anything yet.I think you addressed my main question at a high level, you feel very comfortable with your sources.Thank you for the well written response. I've been quite impressed with your site. Keep it up. The info came direct from within Sprint. The data is so voluminous, it would take 1000's of hours for the source to create the fraud. In our Sponsor section we have complete maps of every Sprint site in the country. Also, we have interactive maps showing all the sites that are complete to date in every market. In our Premier Sponsor section we have maps showing all the NV sites being upgraded this year with schedule info. Our members are going out with these maps and verifying data. Its quite exciting to watch the deployment occur right before their eyes. I only wish I lived in a market with active deployment myself. Sprint will likely announce a launch target for this market (and several others) as they launch Atlanta and San Antonio here in the next few weeks. I understand where you are coming from. Sprint has a lot to prove to its customers. As the saying goes, its time for them to put up or shut up. However, Sprint is not handling the deployment themselves. In the DC market, Sprint hired Alcatel/Lucent, who has been under contract for some time. ALU and their subcontractors have spent millions getting the market ready and mobilizing. They have been there since March getting things ready and have started converting sites. There is no turning back now. The ship has sailed. All that being said, if Sprint runs into cash flow problems, they will slow down Network Vision. But most likely in markets they are just about to start, not ones already mobilized. Was really hoping Frederick, MD would be getting some love, but it does not appear this is the case. It's the 2nd largest city in MD, so it would be nice since it's part of the DC/Baltmore Metro area. It is. It will be deployed in this deployment. Keep in mind this map only shows the first 40% of sites in the schedule, not all the sites. And there is no guarantee this will be the order of deployment. Some variability should be expected over time. Hi Robert. Care to expand on that last bit above about a device issue that Sprint doesn't want discovered? Is it related to a particular handset? I sure hope I'm not going to hear more bad news about my new EVO 4g LTE - between the lousy signal reception, funky wifi tendencies, email-sending issues, red-hot temps & other minor annoyances, I can't take any bad news about the desperately-needed LTE!! No. I'm not going to expand at this time. I am considering an article about it. However, on another note, we are starting work on a radio performance article that compares signal on 9 different Sprint devices in several different scenarios. You will be able to compare the EVO LTE with 8 other Sprint devices. Oy - that's what I was afraid of. Must be one doozy of an issue. Well, I'll look forward to that article, but let me predict that the LTEvo comes in dead last in that signal comparison. I have 10 days to return the LTEvo and I guess try a GSIII, so feel free to drop a hint if you think that might be a good idea ;-) Thanks for the great work. This is great news. I can't wait for the LTE in my area to be cut on. Thanks for the updates. Is southern maryland , specifically Lexington Park, MD considered the DC market? If so, I hope LTE gets here soon so I can purchase a LTE phone.. Yes. St. Marys, Charles and Calvert counties are all in the DC market. I really hope they stay on schedule and launch later this month, or early Sept... because 3G is just not getting any better near my home in Alexandria. As it stands now, service is so spotty that I cannot download an app or stream music to Bluetooth while traveling on I-395. I am no longer optimistic about a August launch. I think Mid to End of September at the earliest for DC. Baltimore will likely launch before Labor Day, though.